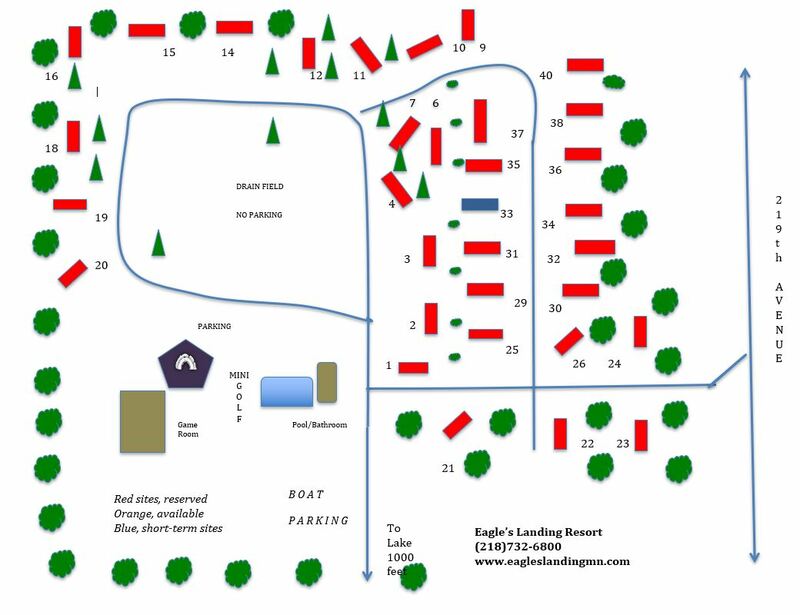 Welcome to Eagle’s Landing Resort! Our rustic and intimate vacation spot is tucked away in the beautiful Minnesota Northwoods on the southwest shore of Fifth Crow Wing Lake. Whether you want to enjoy fishing for largemouth bass, walleye, and pike, treat the kids to a good old-fashioned marshmallow roast or just relax without a care in the world. 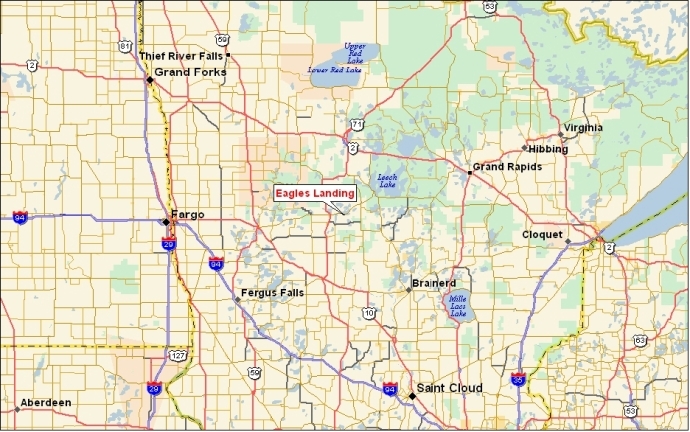 Our 22-acre RV park is nestled right in the heart of the Minnesota Northwoods, where all you can hear are the breeze and the birds. We have all the amenities you need to make the most of your woodsy getaway. How you enjoy getting out of the water is entirely up to you with boat and pontoon rentals available as well as complimentary use of our paddle boat or canoe. We have private walking trails, mini golf, horseshoes, playground, volleyball court, game room, and more, so you can play however you like. Too chilly for a dip in the lake? Never fear, because our heated in-ground pool is ready for a swim all summer long. Relax, & Let Us Do the Work! We are a traditional Mom and Pop resort, creating the campground in 2005. We are on site daily for all your camping needs, so you can hang up your keys and just forget about the world around you. Our general store offers ice, treats, beverages, firewood and bait for sale. Our RV park sites include water, sewer and electricity, so you can feel right at home soon after you’ve settled in. It’s not a vacation without the whole family, of course — dogs are welcome, provided they stay leashed and friendly during their visit. Our family is blessed to be able to share such a beautiful slice of paradise with our guests. We’d love to be your hosts! Hwy. 94 north, to Sauk Centre Hwy. 71 east to Park Rapids; Hwy. 34 east 10 miles to 219th Avenue, south one mile. Hwy. 10 north to Motley, Hwy. 210 east for ¼ mile to Hwy. 64 north, to Hwy. 87 west (left) to Hubbard County Hwy. 33 for six miles, to Hwy. 34 west (left), 5 miles to 219th Avenue, south one mile. Hwy. 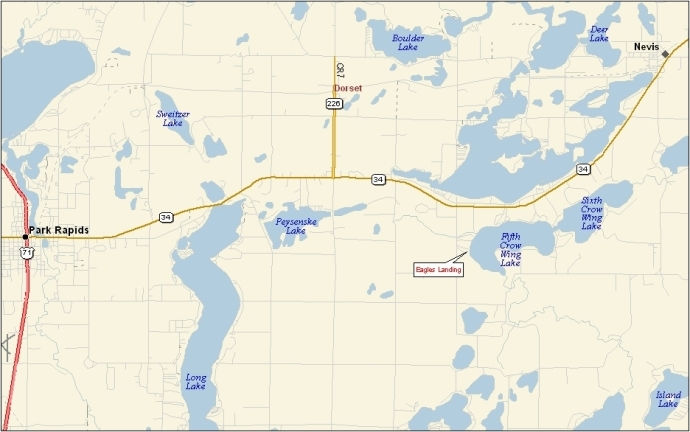 10 South to Detroit Lakes to Hwy. 34. East to Park Rapids, then 10 additional miles on Hwy. 34 to 219th Avenue, then one mile south. Watch for blue resorts signs on Hwy. 34! We are currently full for the 2018 season, but if you'd like to be added to our waiting list for 2019, please fill out the form below. © 2018 Eagle's Landing Resort. Website by Arvig® Media.